The Olympic Golden Greats show in London Stratford centre has been sponsored by Manfrotto and supported by some fine companies. When you are lucky enough to have attracted sponsorship, it is important to get as much exposure as possible for the project that they have backed. 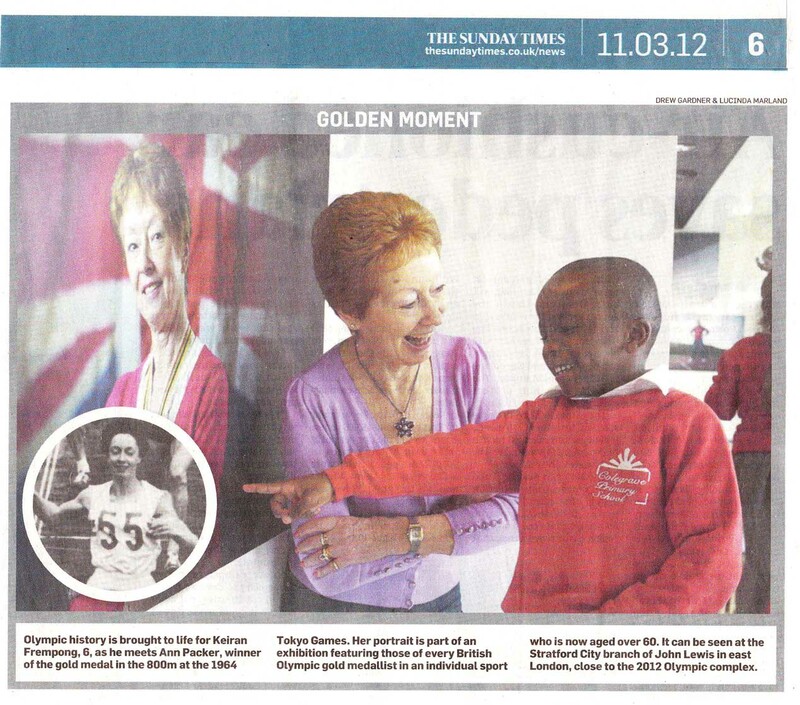 So, on the Saturday morning after the private view we held a press call, where local school kids could meet Olympic Gold medalist Anne Packer. We were hopeful that national papers would turn up and we would get coverage. In the event not one turned up, which was disappointing. So, it was down to Lucinda and I to shoot some images to submit to the National papers. A change of tack was called for and I switched to the Fuji X100 which calls for a somewhat different shooting style....fast it is not. 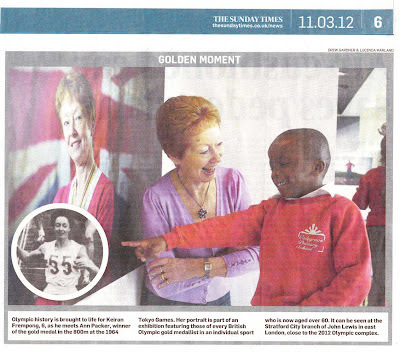 It did the job, we filed the pictures and we got a 4 column pic in the Sunday Times. A PR dream come true. I'm very happy with this!